The family/estate of the late Bobbi Kristina are psychic mediums, criminal investigators and forensic pathologists. Apparently. 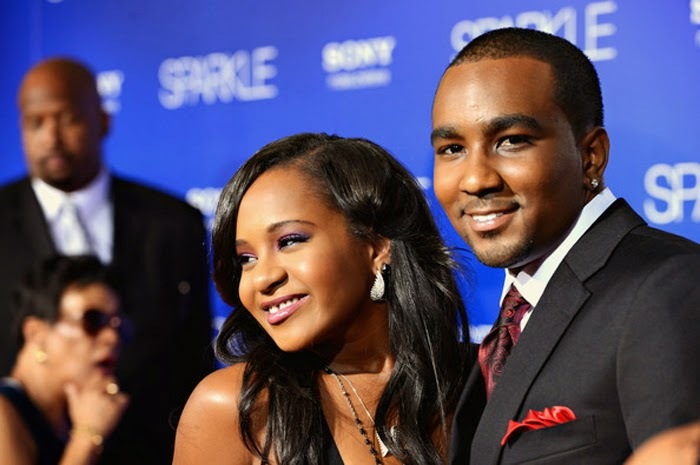 Last June, they filed a multi-million dollar lawsuit against Bobbi Kristina's boyfriend, Nick Gordon, alleging he physically abused her and took $11,000 from her bank account while she was in a coma. Today, they amended that complaint and added a wrongful death count. The amended lawsuit accuses Nick of giving Bobbi Kristina a “toxic cocktail” and putting her face-down in water. According to the complaint, on the night of January 31, Nick returned to the home he shared with Bobbi Kristina “from being out all night on a cocaine and drinking binge.” The suit goes on to say Nick watched video footage of Bobbi Kristina inside the home and they two got into a “loud argument," during which Nick accused her of cheating. During the fight, the complaint alleges, Nick gave Bobbi Kristina the "cocktail rendering her unconscious and then put her face down in a tub of cold water causing her to suffer brain damage." The suit then claim Nick “came out of the master bedroom wearing a different set of clothing than he was wearing prior to his argument with Bobbi Kristina" then "he got in bed and laid his head on female guest’s ankle and stated, ‘Now I want a pretty little white girl like you.’” How do they know this? From our recollection, Nick has not been charged with a crime and hasn't yet talked to police, but he tell his side of the story in a dramatic interview with Dr Phil. Bobbi Kristina, who abused drugs, was comatose since she was found face-down and unresponsive in a bathtub on January 31. (She died in hospice care July 26 at age 22.) Furthermore, an initial autopsy found no obvious cause of death and the medical examiner’s office said it would likely take several weeks to rule on a manner and cause of death. Curiously, why is the estate filing this lawsuit? Is it because Bobbi Kristina and Nick were indeed married and, as her widower, he would be entitled to her $20 million inheritance? And, how does the Brown-Houston family plan on proving their case in a court of law? And are they suggesting Bobbi Kristina wasn't part of that night's "cocaine and drinking binge"? HA! The circus has officially begun. Time to go get more popcorn. Update, Aug 8: Nick's lawyers have their own questions about the validity of the complaint, too. They released this statement: "The recent lawsuit against Nick is slanderous and meritless. Nick has been heartbroken and destroyed over the loss of his love and it's shameful that such baseless allegations have been presented publicly. Nick has engaged civil counsel and intends to defend the lawsuit vigorously and expose it for what it is: a fictitious assault against the person who loved Krissy most."